Learning and playing chess can map to specific and identifiable educational objectives. After teaching countless numbers of people how to play chess, I have recognized that a student who increases their knowledge of the game goes through the specific and measurable transformations below. Chess lessons taught to beginners use the verbs at the lowest level of the bulb. As a player progresses, the lessons taught (in books and by chess instructors), go through the process of application, analysis, synthesis and evaluation. It is my firm belief that students who experience the complex and discrete application of these learning targets within a game they enjoy with peers will transfer this successful experience into new contexts. Dewey may endorse learning chess as as an educational tool, as it promotes the learner as an active problem solver who makes meaning through individual, active experiences. Students learn by doing. Playing (doing) the game of chess allows students the full range of learning as noted by Bloom. In our diagram below, students learn the game by first learning the rules from a teacher or classmate, KNOWLEDGE. Practice of the moves gains one COMPREHENSION and confidence. 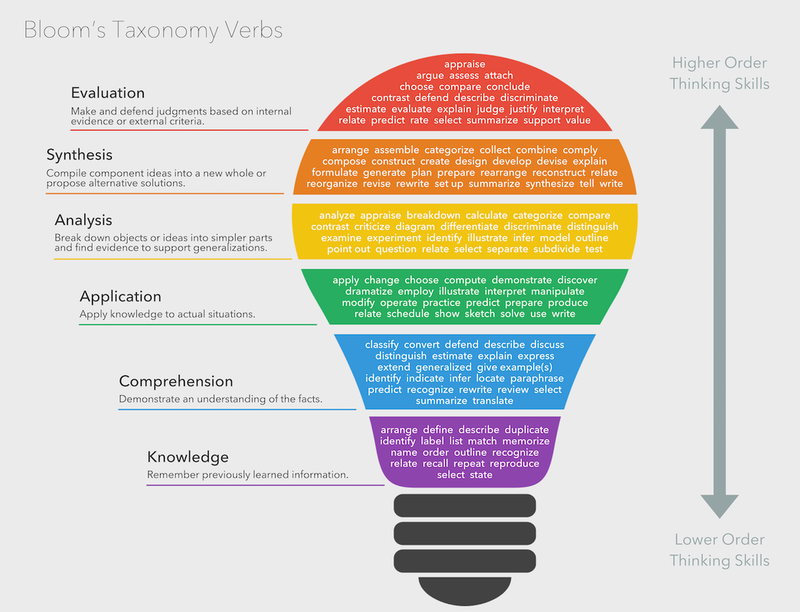 Bloom's Taxonomy by Fractus Learning is Licensed under Creative Commons Share-Alike international license.